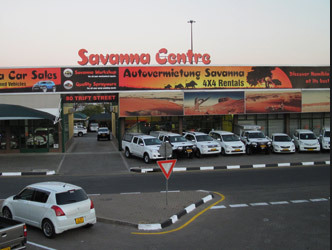 Car hire deals Why Savanna? Our company has been in existence for over 20 years. With that comes experience and passion for what we do. Renting out vehicles is what we specialise in and what we live for. So the first reason for ‘Why Savanna Car Rental’ is that we are an experienced, motivated and driven company. Striving for perfection and satisfaction. Secondly, our vehicles are perfectly maintained and looked after by 2 Specialised Toyota Mechanics, who have years of experience and make sure that our cars are in a good running order. We do thorough checks on the vehicles that are to be rented out, to ensure that our Clients can enjoy their Holiday to the maximum. Thirdly we deliver great service; from the Shuttle, to Reception where all the most important information about the rental and the vehicle will be discussed, to the vehicle check and description where the vehicle gets explained into detail. Now that is called service with a smile and a warm welcome. Fourthly we offer a 24 hours standby service where you will be helped at any time of the day. You will never have to worry about not being helped. And last but not least, we have a good variety of Vehicles to suit everyone’s style or pocket. From our Toyota Corolla, Innova, Avanza, to our 4x4 Vehicles Single Cabs, Double Cabs also available in Diesel or Automatic/with or without Camping Equipment and finally our Toyota Hilux Double Cab Offroad Model, with 31 Inch Tyres, built in Drawer System, Whinge and the car is also Lifted. We also rent out Camping equipment separately as well as Satphones, GPS, Cell Phones and Sleepingbags/Pillows. Every need has been met, with our company you will never go wrong as ALWAYS give that Little bit extra, which makes every client a VIP.